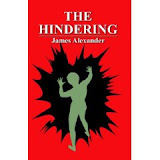 In James Alexander’s novel, The Hindering, the author shares his personal true story of a tragic event that forever changed his life. As a young boy growing up in New Jersey, James befriends a boy by the name of Tommy. Tommy had recently moved to James’ neighborhood and was having difficulties adjusting to the new environment. James takes this shy introvert under his wing and the two boys become the best of friends. As the boys grow older, Tommy’s behavior changes and he starts to act out and get into trouble. As others turn away from Tommy, James remains loyal to his friend. After graduating from high school, James matures and plans a future as a graphic artist. The two boys drift apart. Eventually Tommy disappears and James immerses himself in his art while attending college. One night Tommy returns and sets James on a collision course for disaster. Tommy seeks out his friend to inform him that he has gone AWOL from the Marines. James, still remaining loyal to his friend, keeps his secret. It is one fateful night after spending an evening at a bar with Tommy; James’s life becomes a living nightmare. Tommy murders a young woman they had picked up hitchhiking. James, distraught and terrified, struggles with a loyal friendship since childhood and whether to contact the police. This proves to be his undoing. Tommy drags James into the murder by placing the blame on him. The Hindering is a remarkable and disturbing account of one man’s devastating legal ordeal. The author shares a personal account of a determined and unrelenting prosecution. From the appalling injustices that take place during the trial, to the stunning account of a harsh and brutal life in prison, James provides a vivid and astonishing detailed story of survival. Through James’ personal narrative, readers experience the wide range of emotions that James experiences as he fights for his life. The book is not only a true story of injustice, but a story of self preservation amid dark and hopeless circumstances. James shares how he coped in prison through his various artistic ventures to keep his sanity in a place where if you lose hope, you lose the will to survive. Through the loving support of his family and friends, and his innovative artistic methods used to deal with with the depressing and brutal prison, readers experience an honest account of coping with a loss of freedom, as well as a loss of faith in a legal system that is suppose to be just. The Hindering is a captivating and compelling story of a devastating period in one man’s life. I highly recommend this well-written and powerfully described true story of the darkest time in James Alexander’s life.